There is a new mall down the street. I’d like to go shopping, but I don’t have any money. 5我需要你来令所有的包。I need you to carry all the bags. 8我想给Simon买一份礼物。I want to buy Simon a present. 9什么怎样What about a music CD? 11也许他对音乐不感兴趣。Maybe he’s not interested in music. 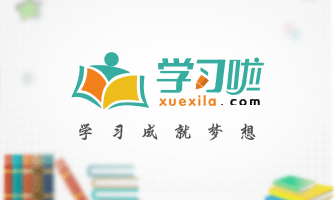 1我能为你服务吗?Can I help you? / What can I do for you? 2我想要一些足球卡片。I want some football cards. 4这儿有一些漂亮的卡片Here are some nice cards. 6他们值多少钱?How much do they cost? 9去年的卡片怎么样啊?How about last year’s cards? 10我想要为我的朋友买一份礼物。I’d like to buy a gift for my friend. There are different kinds of hair clips in our shop. 12他们与她粉色的外套相配。They match her pink coat. I want to buy some presents different from Amy’s. 18我有足够的钱买他们。I have enough money for them. 1你想要一些茶吗?Would you like some tea? 2为了晚会我们需要许多东西。We need many things for the party. 3我们也需要一些纸杯We also need some paper cups. 4在它的周围有一些商店。There are some shops around it. 5有一个书店在我们学校附近。There is a bookshop near my school. There are hair clips, music boxes and some other nice things. Not far away from my school, there is also a supermarket. 1你怎样使用你的零花钱?How do you use your pocket money? Would you like to help the children in some poor areas? 4他们能从他们中学到很多。They can learn a lot from them. 5他们总是走很长的路到学校。They always walk a long way to school. We can use our pocket money to buy them these things. 7感谢你的帮忙。Thank you for your help. 8我想要一双鞋。I’d like a pair of shoes. 10我能够试穿他们吗?Can I try them on? 13我们能看另一双吗?Can we see another pair? 2它是靠近一个公共汽车站台。It is near a bus stop. There are five floors of shops and each floor is big. 4我们可以在这儿买到不同种类的服装。We can get different kinds of clothes here. 5它有许多有趣的书。It has lots of interesting books. 6所有的餐馆在顶楼. All the restaurants are on the top floor. 7有来自于不同地区的食物。There are foods from different areas. 8那儿的食物真的很棒。The food there is really great. I like watching films, so the big cinema is my favourite place in the mall. The mal is a good place to meet friends and have fun.